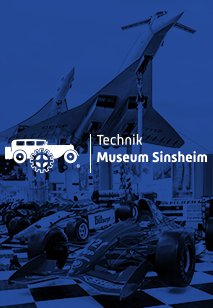 At the Technik Museum Speyer, you will discover technology that takes you to the depths of the seas and to the outer reaches of space with everything from submarines, high-power motorcycles, and elegant vintage cars to the largest aerospace exhibition in Europe with a space shuttle and much more. In addition, you can see exciting documentation in the IMAX dome on a giant dome screen. The prices for travel groups, clubs, vintage car clubs and school classes (15 people or more) can be found here. Please note: Due to the strong audiovisual impressions we recommend a visit to the IMAX theater only for children over 4 years. Due to the strong audiovisual impressions we recommend a visit to the IMAX theater only for children over 4 years. Entrance at the Technik Museum Sinsheim and Technik Museum Speyer. 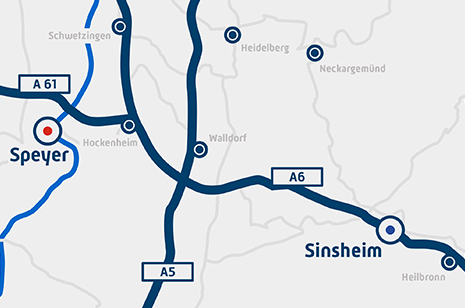 Also included is one show at the IMAX 3D Laser 4k Theater (Sinsheim, except feature films) and one show at IMAX DOME Theater (Speyer). The days of each visits can be choosen freely. This offer is not available on Saturday, 11 May 2019 and Sunday, 12 May 2019 due to the event Brazzeltag in the Technik Museum Speyer. 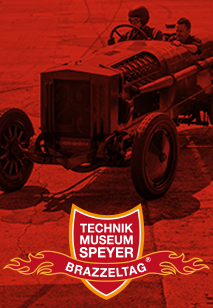 The visit of the Technik Museum Speyer is not possible with already received Superkombi tickets this weekend. Disabled persons with a valid ID card visiting the museum only pay the reduced admission for children under 14 years. ID card owner with the note "B" (required companion) can take advantage of free entry to a companion. Comfortable accommodation can be found in the Hotel Speyer am Technik Museum directly on the museums grounds. Birthday children (also adults) are granted free admission to the museum and the IMAX 3D Laser 4k Theater on their birthday. The date of birth must be verified by a valid ID card at the ticket office.